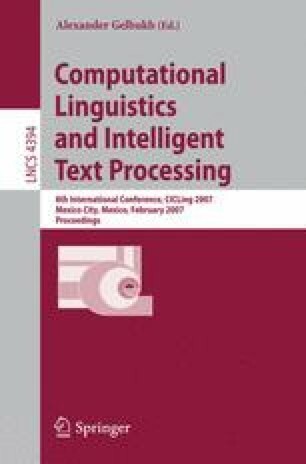 The need of the current Natural Language Processing applications to identify text segments that express the same meaning in different ways, evolved into the identification of semantic variability expressions. Most of the developed approaches focus on the text structure, such as the word overlaps, the distance between phrases or syntactic trees, word to word similarity, logic representation among others. However, current research did not identify how the global conceptual representation of a sentences can contribute to the resolution of this problem. In this paper, we present an approach where the meaning of a sentence is represented with the associated relevant domains. In order to determine the semantic relatedness among text segments, Latent Semantic Analysis is used. We demonstrate, evaluate and analyze the contribution of our conceptual representation approach in an evaluation with the paraphrase task.